FUSIONWRX, Inc NAMED A TOP DESIGN & PR FIRM IN CINCINNATI! Cincinnati, Ohio, Northern Kentucky, 4.27.2018 – FUSIONWRX, Inc is a full service marketing agency that partners with niche businesses to define and accentuates their key difference while motivating their target audience to act. FUSIONWRX, Inc is a division of Flottman Company, a third generation, nearly 100 year old and family owned print services company. Two years ago the marketing team at Flottman went independent and initiated FUSIONWRX, Inc as a subsidy of Flottman Company. 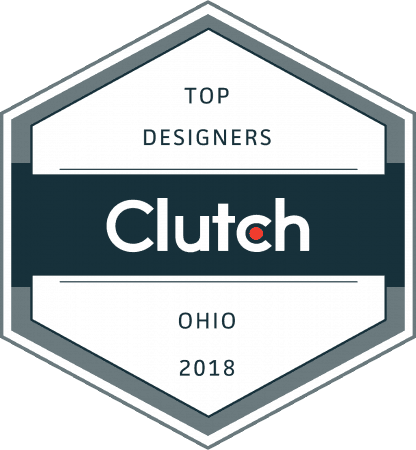 The Clutch ranking is one ofthe first major awards for the team at, Inc FUSIONWRX, Inc and serves to celebrate their efforts. Clutch is a research company that evaluates business-to-business service relationships on the basis of past experiences, previous interactions, market presence and client results. For any agency to be ranked; they have to allow interviewed reviews of current and past clients. It is these personal testimonials that differentiate the Clutch ranking system. As a third party evaluator the rankings from Clutch are independent, unbiased and reverent. “FUSIONWRX, Inc is a representative of agencies across the United States that have proven an understanding for media and creative processes necessary to provide outstanding services and results, congratulations to FUSIONWRX, Inc,” shared Katie Wonders, Business Analyst for Clutch. A B2B research, ratings, and reviews firm in the heart of Washington, DC, Clutch connects small and medium businesses with the best-fit agencies, software, or consultants they need to tackle business challenges together and with confidence. Clutch’s methodology compares business service providers in a specific market based on verified client reviews, services, work quality, success and market presence. FUSIONWRX, Inc is a marketing engagement and activation agency that specializes in helping companies share their unique stories and find their niche. We strategically guide organizations to communicate their brand in memorable, engaging and highly personable ways. With a multi-channel platform, we evoke passion and excitement that motivates action. We are part of the 93 year old Flottman Company’s family of business. Based in Cincinnati, FUSIONWRX, Inc has experience working with companies of all sizes, including small family and private businesses to leading Fortune 500 companies. Present us your challenge!